Yesterday I spent a fun few hours collecting Elderflower with one of my ishy friends, this included lots of chatting, tea and homemade cake. Last year we followed the Cordial recipe on the http://www.selfsufficientish.com/ This is a fab site full of useful info, with a forum full of very helpful people. I have learn't so much from them including how to make bread confidently, and lots of help with keeping my chickens. However this year we made it up as we went along. We borrowed a huge industrial catering pan and filled it half up with water, adding sugar, juicing some lemons and oranges and adding. 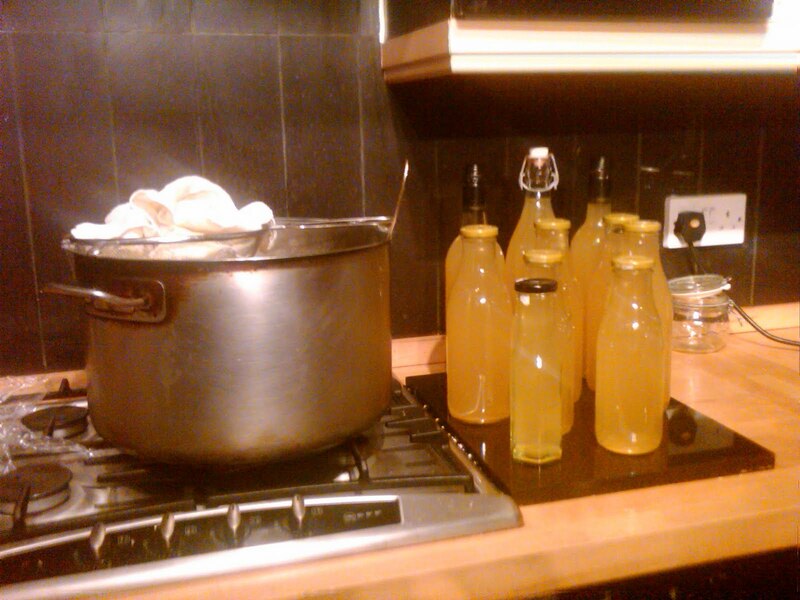 Boiling all of this up, then adding your Elderflower heads, leave for 48hours. Then strain through a muslin and bottle. 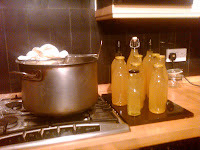 I then put the bottles in a hot water bath and boiled for 5 mins, hopefully that will preserve the cordial for about a year. My eldest is converting her friends to what she calls Princess Bubble Juice. She even took some into her reception class as they have been learning about flowers. Where has my baby gone? ?